Centuries of sherry-drinking, eating mince pies and working night shifts could be putting Santa Claus at serious health risk, according to the Royal College of General Practitioners (RCGPs) - a professional body for doctors in the UK. Santa Claus is living with multiple morbidities, which, if left untreated, can become distressing. 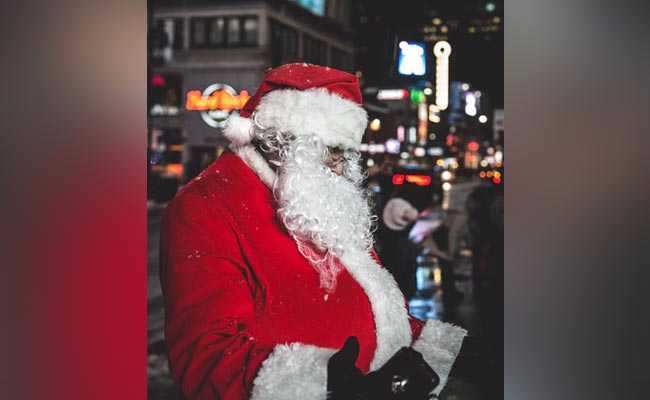 Santa Claus is adored by youngsters the world over, but he could be setting a bad example when it comes to his physical health and mental well being, according to UK doctors. With every house leaving carrots for his reindeers and mince pies and cookies for him, it is likely Santa's BMI is exceptionally high. Obesity can lead to numerous health problems, such as hypertension, diabetes, fatty liver disease, and cancer, the RCGP said in a statement. As a result of his waistline, unhealthy diet, and alcohol intake, it is also possible that Santa Claus has developed gout - a painful joint condition caused by the build-up of uric acid in the blood. Santa Claus is known for his tight black boots to help him combat the snow, but with all his long haul travel they could be damaging his blood vessels - although the activity throughout his journey will help reduce his risk a little. It is not known if Santa has a companion at home, so he could be at risk of feeling lonely, they added. Loneliness and social isolation can be just as bad for his health and wellbeing as having a chronic condition. He also experiences a lot of work stress, as well as sleep deprivation in the week leading upto Christmas. "Santa Claus embodies what should be the happiest time of the year, and he is loved by children all over the world," said Helen Stokes-Lampard, Chair of the RCGPs. "Although he sets a brilliant example of good behaviour and teaches the importance of giving rather than receiving, he could probably do more to encourage healthy lifestyles - something youngsters and adults alike can benefit from," said Stokes-Lampard. "Santa is almost certainly living with multiple morbidities, which, if left untreated, can become increasingly distressing and debilitating," she said. Having a tipple of sherry at every house around the world in one night is a serious case of binge-drinking, which we know is incredibly dangerous, according to the experts. "We're concerned that over the years he is likely developed a significant addiction. If left untreated, this could lead to immune system dysfunction, cirrhosis of the liver, pancreatitis or brain damage, not to mention bad skin and strong body odour," they said. "The human body can only process one unit of alcohol per hour, which means excessive consumption could make Santa drunk very quickly," Stokes-Lampard said. "This not only increases the likelihood of him slipping in the snow or mixing up important presents, but could also lead to long-term issues affecting his mood and mental health," she said. "In the meantime, I would recommend that Santa gives the sherry a miss this year - and maybe asks Rudolph if he can share his carrots," she added.